I’m backing the Bluejays at home as a short favorite against the Bulldogs Wednesday night. I’ve played on Creighton multiple times this season with a lot of success, including their most recent game when they covered as a 5.5-point road favorite in a 78-64 win at Providence. While these are two evenly matched teams, I believe the home court edge for the Bluejays will be the difference in this one. Butler is 2-2 in true road games. One of the wins was at Utah, which came before the Utes added in their two big transfers and the other was their last game at Georgetown, where they escaped with a win in overtime. That game after the Bulldogs huge upset at home over Villanova and I just feel like they are going to be out of gas here, as this will be their 2nd straight on the road in just 5 days. As I’ve stated in previous write-ups, this Creighton team is shooting at a ridiculous clip this season. The Bluejays are shooting 53.7% from the field on the season and it hasn’t slowed down in conference play, where they are at 53.4%. Butler’s defense hasn’t been nearly as good on the road and with their tired legs I think this could get ugly, as they are going to have to score to keep it close. Bluejays are 8-1 SU at home this season, have gone 12-3 ATS in their last 15 home games against a team that’s won more than 60% of their road games and are 4-0 ATS in their last 4 as a favorite of 6.5 or less. Take Creighton! Jimmy is ready to keep the money train going with Wednesday’s All-Inclusive 5 Pack! It’s headlined by his 5* Atlantic 10 NCAAB Game of the Month (72% L36 NCAAB GOM/GOY Releases), plus you also get his 4* NBA Vegas Insider ATS Blowout, 4* NBA No Doubt ATS Annihilator & 4* NCAAB Situational ATS Heavy Hitter & 4* NCAAB Undervalued Underdog! 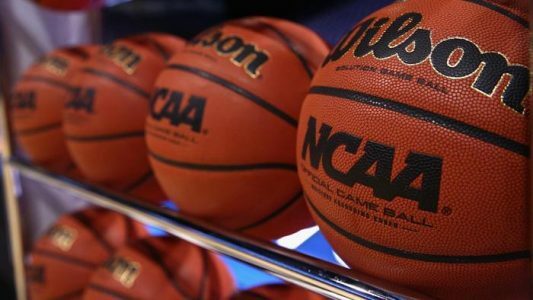 2x #1 Ranked Basketball Handicapper ($1,000 Basketball Players Profiting Over $79,000)! Jimmy’s got long-term success on the hardwood that can’t be ignored. He’s a 5x Top 10 NBA Handicapper (56% Run Over L225 NBA Selections) & 3x Top 10 NCAAB Capper! All 5 plays are yours for the low price of $49.97! You are GUARANTEED TO PROFIT or Jimmy will give you your money back in site credit!